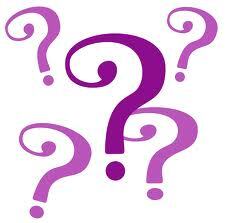 SPOILER ALERT: This Q&A contains plot information for my books. If you haven’t read them all, I recommend coming back once you’re done! Do you like blowing things up in your books because it’s illegal in real life? You can blame my son for that. When I did NaNoWriMo (National Novel Writing Month) in November 2010, he kept asking me to blow things up, ram a truck into a house (he wanted the truck to go all the way THROUGH the house; we compromised and only went as far as the kitchen), and he wanted a car chase. This is the story Good Night, Sleep Tight, Don’t Let the Stalkers Bite. I’d like to know where Randy’s (The Ghost Writer story) money comes from. So would I! I need a loan to pay some bills! Seriously, I don’t know. But I’m sure we’ll find out in the next book, Who Killed the Ghost Writer? Was Agatha so enamored with Stanley that she was willing to live with a dead man than to live her own life, or was she just stuck in the past? I believe you hit the nail on the head, so to speak. She and Stanley had been together before he got married, and they stayed together for a few years even after that. I mean, Stanley IV and Cecilia were the children of their affair. Agatha gave him the children Amelia couldn’t, and she felt that entitled her to be the mistress of the manor, not Amelia. But Stanley truly loved his wife, and he was not about to walk away from his family to be with Agatha, and I think that drove her over the edge. He dies, Amelia signs the house over to Agatha and leaves town, and suddenly, Agatha has everything that she ever wanted. What were her reasons for staying there? She had what she wanted; she became mistress of the manor, and she had Stanley, even if he was a ghost. He couldn’t leave, and why would she leave? She had money, a huge house, and the man she loved. In her warped way, she had everything she ever wanted. She had money to live her life. Did she think Amelia would stop the money? Or was she afraid that Amelia would come back and take over the house again? As previously stated, she had everything she wanted. And with the story that Stanley IV was the one that killed her husband, there was no way that Amelia would risk her son’s future, so she did the only thing she could do. She allowed herself to be blackmailed by her husband’s mistress. Agatha knew that Amelia would keep paying in order to protect the family secret. I want a sneak peek into Lizzie’s love life. Who will she choose? This is something she is going to struggle with over the next couple of books, I think. She feels betrayed by T.J. because he used her to capture her crazy serial killer aunt, Debra Cosgrove. After what happened with Jake in college, it took her a while to open her heart again. T.J. stomped all over it. She still cares about him, but she’s not sure she wants to get involved with him again because she doesn’t know if she can trust him. As for Jake, he hasn’t really changed since their college days. He’s still trying to control things, and she knows it. She’s been making her own decisions and living her own life, and to give that up would be like cutting a piece of herself off. She knows Jake has ulterior motives, so she’s keeping him at arms’ length and watching him closely. If Lizzie could do anything, and didn’t always find herself fighting crime, what would she do? I love your Lizzie books. When is the next one coming out? Soon! I’m writing a stand-alone Lizzie story for an anthology called Unlucky 7 (that’s what the anthology is called, not the Lizzie story). My contribution is Death Takes the Blue Ribbon. I will just say there is a pie-eating contest, and a death of someone we all know. I’m also hoping to get a second Lizzie story out before Christmas, Death Shoots the Sheriff (and no, it’s not Owen!). I loved answering your questions! We’ll have to do this again soon! If you have questions you’d like to see answered, hit me up on Facebook or Twitter! In case you think I’ve forgotten about Lizzie, I haven’t! I am currently working on a Lizzie story for a box set called Unlucky 7. The title of my story is Death Takes the Blue Ribbon. There are six other authors who will be joining me in this collection: Jamie Lee Scott, Scott Silverii, Fiona Quinn, Diane Capri , Hildie McQueen, and Vivi Anna. We are looking at a November publication date. I will let you know more as information becomes available. Death Takes the Blue Ribbon will be a stand alone book, so don’t worry about missing out on anything in the story line! But wait…that’s not the only Lizzie book coming out! I am also hoping to publish Death Shoots the Sheriff by Christmas! This one WILL continue the storyline, and will pick up a short time after the end of Death Catches a Killer. So if you haven’t read that one yet, you have plenty of time to get it! On a more somber note: I would be remiss if I did not say something about the passing of Robin Williams. I first watched him on “Mork and Mindy”, and thought he was a wonderful comedian. I watched his show “A Night at the Met”, and I was amazed at how funny he was about his addiction, and life in general. I’ve seen many of his movies and his one-man shows on DVD, and I have shared the laughter that he brought me with my son. I guess I could relate to him because I make fun of the things that happen in my life. It’s a way to cope and deal with them. Laughter is the best medicine, but sometimes in the midst of the laughter, we can forget what causes the pain in the first place. Those that bring us the laughter often have the deepest pain. If you know someone who is going through a rough time, reach out to them, even if it’s just to say hello. Sometimes just listening to them talk about their hard day can help more than you know. That’s it from me for today. Who knows what I’ll talk about next week! You’ll have to come back and find out!